Muzeul Textilelor – Traditia este o comuniune cu misterul istoriei. Muzeul Textilelor is a private museum that exhibits the textiles in the FARZ Collection (Florica, Ana and Romulus Zaharia Collection). The Collection includes textiles and tools used in traditional textile production worldwide throughout history; a rich reference collection of fibers, dyes, and textile structures; and a textile related library. The collection encompasses flat textiles, costumes, accessories and tools from Romania, Eastern and Central Europe, Western Europe, the Near East, India, Central Asia, Japan, China, Southeast Asia, Africa, Oceania and the Americas. The strength and uniqueness of the FARZ Collection is that it was created systematically and professionally with a focus on the technical aspects of textiles. We believe it is the only collection of its kind in Eastern Europe. 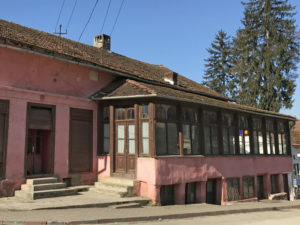 The Muzeul Textilelor has three locations, two in Băiţa, and one in Hărţăgani village, all in Hunedoara County, Romania. The Museum's main location, Corp A, is an 1857 house located in the center of Băiţa. The house and its garden are currently under restoration. The garden will be made into a tinctorial and textile fiber related garden. 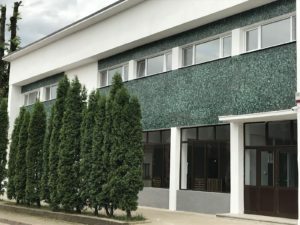 Corp B, including administrative spaces, laboratory, conference space and an Art Café, is in a 60s building that used to be the general store of Băiţa. 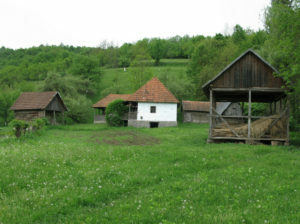 The Museum’s Corp C, which focuses on textile production typical of Hunedoara Region exemplified by artifacts and a textile fiber related garden, is in a farm house located in Hărţăgani village. It has five constructions, two of which are signed by Tripon Petru, 1902, 1912, and one of which is signed by Popa Aron, 1936. We open to the public the Corps B and C on May 28, 2018. We aim to complete the restoration of Corp A in 2019, and to open it to public in 2020. Until then, the conference room of the Corp B will function as galleries for temporary exhibitions. 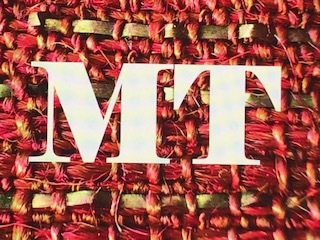 The Muzeul Textilelor's mission includes preserving, collecting, researching, and sharing the collection and other resources with specialists and the public. The focus of activities is to provide a global context for Romanian and East European textile materials and related technologies. Other objectives are to create a center for research and professional interaction among experts and young professionals from the national and international community; and to stimulate the appreciation of textiles as art. The collection was put together over the past four decades with a passion for and commitment to textiles, and professional expertise, by Florica and Romulus Zaharia, and their daughter Ana Teodora Dragus. Florica Zaharia is a PhD in textiles and a Conservator Emerita of the Metropolitan Museum of Art, where she worked for nearly half of her life as textile conservator – thirteen years of which she was the Conservator in Charge of the Department of Textile Conservation. Romulus Nicolae Zaharia is a food industry engineer, with a passion for history and for collecting art dating from his early years. Ana Teodora Dragus is an animal science and biotechnology engineer, an active member of the community, and participant in forming the collection since her childhood.